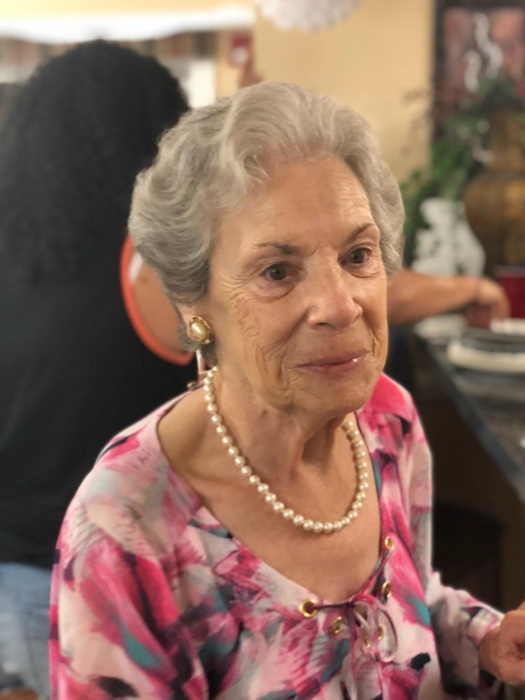 Hallie R. (Warner) Byrd of Crestview, FL passed away 20 February 2019 surrounded by her loving family. Hallie was predeceased by her loving and devoted husband of 64 years, Ray D. Byrd, Sr. and her adoring eldest child, Ray D. Byrd, Jr., (Don). Hallie was born in Cincinnati, Ohio on 21 August 1934 to the late Roy and Beulah Warner. Hallie is survived by her sister Kay, children, Debra Kay, Aaron Randolph, Richard Alan, and Mary Teresa, as well as 13 Grandchildren, 13 Great Grandchildren and several Great, Great Grandchildren. Hallie held a deep and lifelong devotion to our Lord. She was extraordinary in many ways. She worked alongside Ray throughout their marriage in several different careers. She was a talented singer in her younger years. She was a poet, artist, and was gifted in more ways than can be written here. Her exuberance, cheerfulness, and light hearted patience was a bright and warm light for all who were fortunate enough to have known her. Hallie will be missed each and every day. She was patient, honest, kind and ever so giving. As a Mother and Wife there can be few equals. We were and remain blessed to have had her in our lives and will cherish every memory we have of her. There will be a Graveside Service at Heritage Gardens Cemetery in Niceville beginning at 10:00 am, Friday, April 5, 2019.